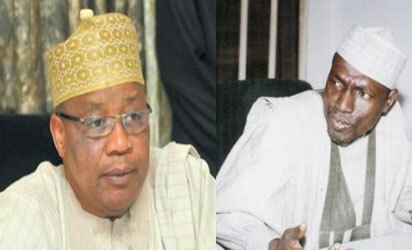 Former military President, General Ibrahim Badamasi Babangida, has received the former Caretaker Committee Chairman of Peoples Democratic Party (PDP), Mohammed Makarfi, in his presidential bid. Speaking at his Hilltop country home in Minna, on Saturday while playing host to Makarfi who paid him a courtesy call, the former said Makarfi restored his hope of a new Nigeria. "Without fear or favour, you have made my day,” the elder statesman stated in response to Makarfi’s earlier remarks that focused on some of the challenges bedevilling the country and the ways to resolve them. Ikimi to Saraki, others: You’ve forfeited your seats“We need a new narrative in this country. We can’t go on like we used to. We need an articulated vision of a new Nigeria. I am not surprised that you give such a narrative of the country. You did well in the legislature and you handled well one of the most civilised and sophisticated states in Nigeria. "You have my blessings and I will look forward to hearing from you on some of these articulations, I heard from you today. Honestly, I feel so proud.“I was almost losing hope in the country. As a military man I wouldn’t. But having heard from the distinguished senator, I have become more enlightened and emboldened to say we have hope in Nigeria,” IBB told Makarfi. Senator Makarfi had earlier told the former military president that while the issue of restructuring could not be overemphasized, it required to be driven by a leader who is trusted along tribal and religious lines, such that it would be a win-win situation for all parts of the country.